Canadian Solar Inc., one of the world’s largest solar power companies, today announced it was selected by Strata Solar to power five utility scale projects totaling 30 MW. The five North Carolina projects are located in Orange, Lincoln, Union, Rockingham and Caswell counties. The power plants will power approximately 3,750 households, many of which are located in agricultural areas. Strata Solar anticipates that collectively, the systems will eliminate 21,120 metric tons of CO2 emissions, the equivalent of removing 3,900 vehicles from the road. Farming families, in particular, can benefit from adopting solar energy, as it helps offset energy costs, which can impact operational profitability. “These solar farms continue to showcase the capabilities of Canadian Solar products in our portfolio of utility projects,” said Markus Wilhelm, Chief Executive Officer of Strata Solar. “We have been very impressed with Canadian Solar; from product to personnel. 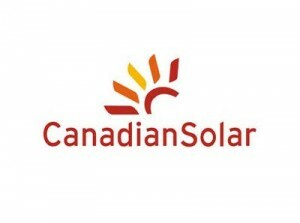 Canadian Solar delivers on its promises, which is the kind of partner you need when you are constructing solar energy farms on tight deadlines to exacting standards,” he added. 118,860 Canadian Solar polycrystalline modules were used for the projects. Furthermore, Canadian Solar’s polycrystalline modules were awarded the highest PTC ratings in the solar industry. PTC Ratings, calculated by the California Energy Commission (CEC), are universally accepted as the most accurate determination of a solar module’s power output performance. “The scale and sheer impact of these five projects is a testament to the dynamic partnership between Canadian Solar and Strata Solar. Our team is particularly honored by the fact that one of the projects is located in the home-county, Orange of Strata Solar and is the largest installation in their neighborhood,” said Dr. Shawn Qu, Chairman and Chief Executive Officer of Canadian Solar Inc.